Instagram has become one of the most popular social media platforms among people of all ages, and savvy businesses are finding creative ways to tap into its potential as a new marketing channel. Keep reading for the best Instagram tips for retailers. Instagram is a mobile photo and video sharing site used by individuals, celebrities and brands alike. Photos and videos shared on Instagram are able to be edited with the use of filters and other tools unique to Instagram. Posts can be made complete with a caption, hashtag, location or by tagging other users. Similar to Twitter and Facebook, Instagram has a feed that provides updates from the people that you follow. You can “like” and comment on photos, but Instagram is missing some capabilities you may find on other social sites such as sharing other people’s content or posting links. That being said, reaching your target audience on Instagram requires a slightly different approach. As with any online platform for your business, optimizing your profile is imperative to maximizing your success and capturing the attention of the vast Instagram audience. Your store’s personality is a major part of your brand, and it is important to carry your unique brand all the way through from the experience you provide to each of your social networks. In doing so, we suggest that retailers maintain a professional and consistent username, photo and bio across all social channels. Choose an eye-catching shot of your storefront or a crisp and clean logo to use as your profile picture on Instagram. This will make it easier for users, and potential new customers, to find YOU. When creating your username, keep it simple. If your store’s name hasn’t already been taken, use it! This allows your business to show up in your customers’ search results. In the case that your store name has already been taken, use your store name and the town you live in. For example, the username @ModernFinery was already taken so the boutique chose the username, @ModernFineryPGH since they’re located in Pittsburgh. Because you will be creating an Instagram account for a business there is no need to use a first and last name to represent the account in the name section. In order to better optimize your account, take advantage of this space and insert your tagline. Users will see this in their search results and will be more likely to visit your account. Your business’s Instagram bio should be short, sweet and to the point. When writing think of the impression you want to make on those who visit you. How do you want to make your customers feel? How long have you been a trusted business? What are your goals and ambitions? These are all things to consider including in your bio in addition to your website. Your bio is the only place on Instagram where you can include a link – so take advantage of it! To increase your reach and exposure outside of your followers, you’ll want to use hashtags in your posts. They are used in the exact same way on Instagram as they are on Facebook and Twitter. 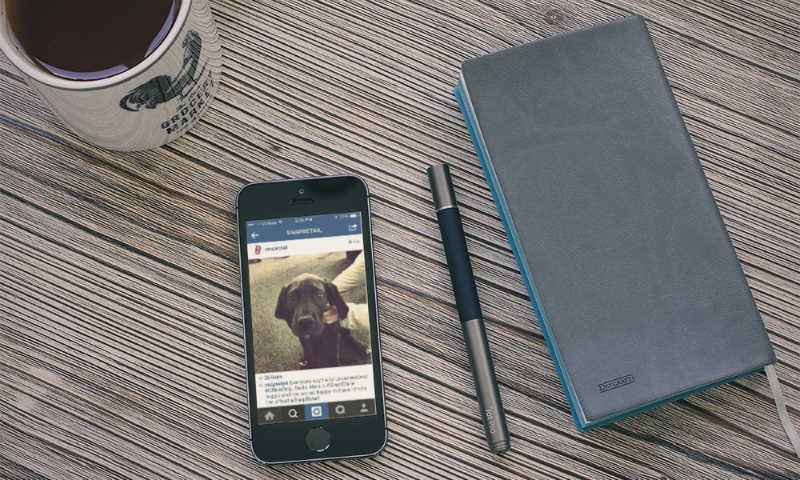 When posting to Instagram we suggest using 3 to 4 relevant hashtags in your caption. This allows enough opportunity to be seen without going overboard. Choose hashtags wisely – be sure they’re either trending or going to be searched often. Still want to find out more about hashtags? Watch our video, How to Hashtag: A Crash Course for Beginners. Because you’re using a social networking site, it’s important to share content that is fun and engaging while promoting your business. Strictly posting products will hurt your engagement. These posts are okay every once in a while, but be sure to fill in the gaps with content that applies to your target audience. Avoid using filters that take away from the image or video that you’re sharing. The most popular filter is no filter at all! Post sporadically throughout the day or the week. Posting a number of photos back-to-back is considered poor Instagram etiquette. Once you’ve created your account and your username, name section, bio and profile picture are taken care of – it’s time to start building your following. You will gain followers through hashtags, by promoting your Instagram on Facebook, Twitter, in your newsletter and even in-store. Following other accounts can also increase your following. We suggest following other local businesses and retailers in your industry. This is a way to support each other and become reputable on Instagram. Now that you have some of the best Instagram tips for retailers, you should be seeing results in no time. SnapRetail let’s you pull in all of your amazing Instagram photos for use in all your social, email, and website marketing – it’s time to start sharing your Instagram success in all your marketing!